Shedul has revolutionized the way your clients pay for their appointments. 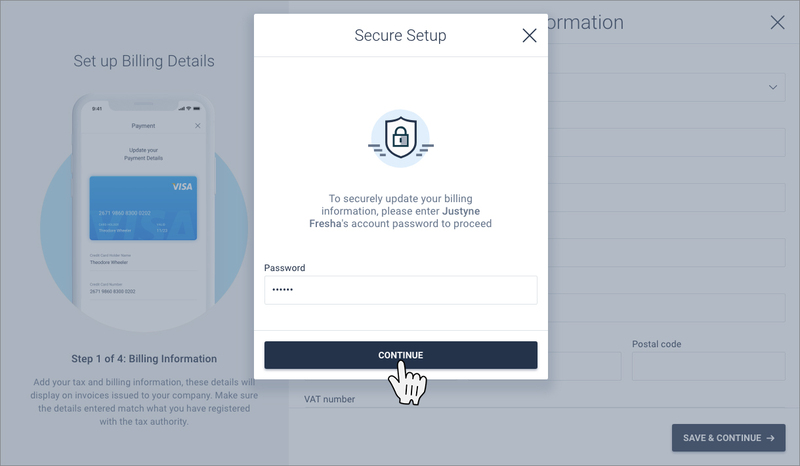 Say goodbye to expensive card terminals and clunky cash payments and say hello to cardless, cashless and contactless "Pay through App" functionality with built-in No-Show Protection and Late Cancellation Protection. By introducing Fresha Pay, your clients can seamlessly book online without upfront hurdles and pay for their appointments through the app once the appointment has been completed, all the while fully protecting your time. Specify whether you are an individual sole trader or business and fill your billing information along with your VAT number. Click Save & Continue. Now that your banking details have been added, let's update your settings to enable card processing. 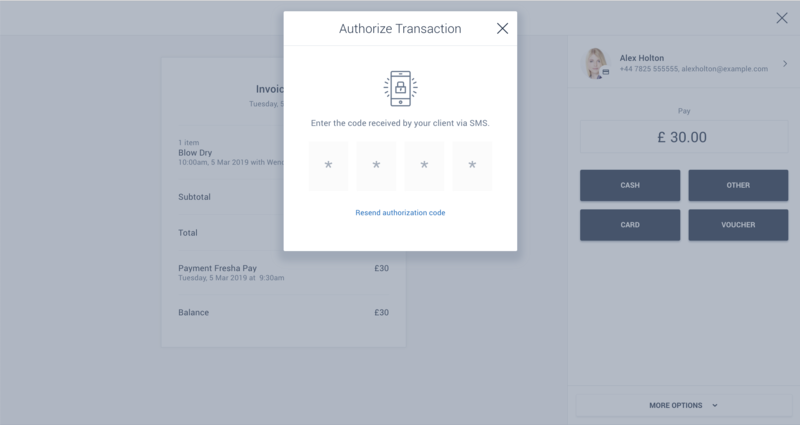 Requiring card capture means that your client will need to add their card details (just once) in order to book their appointment and it'll be securely stored on their Fresha profile for their next appointment. We have found that simply by requiring card capture, businesses have experienced up to a 70% drop in no-shows. Head to Online Bookings > Settings where you'll be given the option to Require Card Details when clients book online. Select the option that suits your No-Show and Cancellation Policy best. These will be displayed to the end user when they book an appointment online. Read more about this here. NOTE: Even though your policy has been applied, you will still have the choice as to whether you enforce these charges. For example, if a regular client no-shows, there is probably a genuine reason and you may not want to upset them by charging. If it's a first-time client, you may not want to charge them to encourage them to rebook and become a future regular client. However, if a client has no-showed twice already, then you may be more inclined to enforce your charges for the time lost. 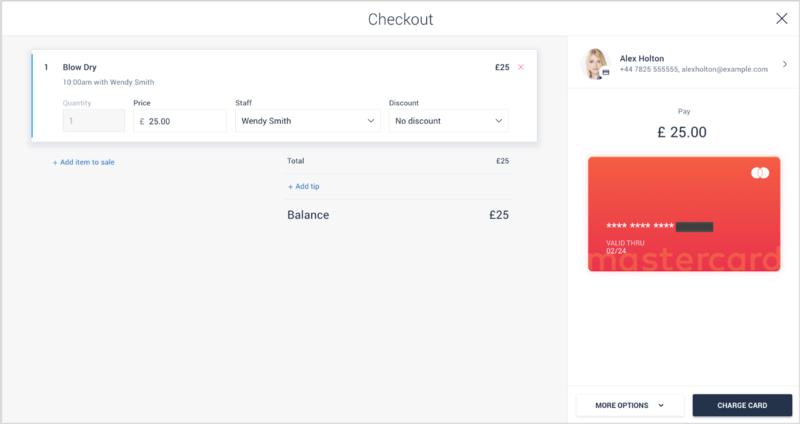 Once your client has added their card details to their Fresha profile, a card icon will be visible on the bottom right-hand corner of the client's photo or avatar icon. Click on the appointment to select Checkout. By selecting Charge Card you are facilitating "pay through app" and charging the card that the client has attached to their account. The payment is now complete and you'll be provided with the option to email or print the invoice for the client as proof of payment. Should you proceed with Charge Card but the value of the appointment is greater than the original booking value, an authorization code will be sent via SMS to the client's registered mobile number. The client should read the pin to you so you can type it into Shedul to authorize the transaction. NOTE: Clients are never charged up front whilst booking online. Processing the payment happens once the appointment has been completed, as services rendered often differ from what was originally booked. When using the client's card as a payment type, it will actually charge the client's card. Do not then take their physical card and process the payment again through a card terminal machine, as this will result in the client being charged twice. The settings applied under Online Bookings > Settings will affect the client's online booking experience with you. They'll be able to browse and select your service and proceed to select an appointment time. To continue, they'll be required to log in or create an account if it's their first time. Depending on your settings, they'll either be required to add their card details or proceed to confirm their appointment. Note: The client will be charged an authentication fee to verify the card is indeed valid. This charge is then instantly refunded and does not mean the client has paid for their appointment. All payments are processed at the point of sale during checkout. Experience: Please be aware that you may receive calls from existing clients asking you why they are now required to add their card details prior to booking. Tip: You may experience a temporary drop in online bookings when specifying that cards are required for online bookings. This is normal as clients often do not want to be held accountable for not showing or canceling late. Incentivize clients to add their card details online and drive online bookings to make the most of no-show protection. You may want to offer a small promotion for all appointments booked online and explain the benefits clients have with being able to "manage their own bookings" through the app.